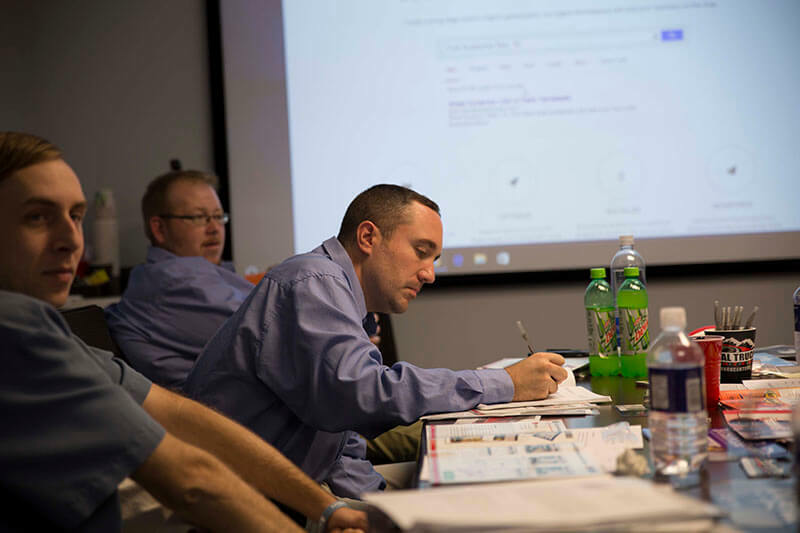 Total Truck Centers regularly hosts marketing strategy meetings for manufacturers and distributors from throughout the country, but this week we welcomed three special visitors from just outside our own backyard: P&E Distributors. P&E, which stands for performance and electronics (fun fact), operates out of Goodlettsville, TN, which is just northeast of Nashville. In the aftermarket business since the early 1960s, P&E remains a family-run organization committed to the growth and success of its jobbers. The two-time SEMA Warehouse Distributor of the Year maintains an extensive selection of both truck and performance accessories to fulfill needs for a diverse customer base. The P&E contingent included Purchasing Manager Chris Eatherly, Warehouse Manager Josh Eatherly, and Marketing Director Scott Dobler. They made the 4.5-hour drive east out to see us for a two-day marketing intensive, which included business analyses, customer-focused discussions, and goal building. The entire Total Truck Centers crew thanks P&E for making the trip out to see us—here’s to another great year, neighbor! If you are a truck aftermarket jobber or retailer who would like to set up an account with P&E, visit their website to get started or call (800) 251-2034. Click here to become part of the nationwide Total Truck Centers network today! NSF1 is a project Jeep Wrangler Unlimited being built as a joint venture between two giants in the automotive aftermarket—Total Truck Centers and Performance Corner—to benefit the Navy SEAL Foundation. In these videos, AAM Group President Tim Odom and NSF1 Project Manager Greg Griffith share the story behind this awesome project Jeep and take you on a tour of the different products they installed. Win a Bike Rack from CURT Manufacturing! This week Total Truck Centers is featuring CURT Manufacturing, the leading manufacturer and marketer of USA-made towing products, on our Facebook page. And CURT intends to end its time in the spotlight with a bang: by giving away a free tray-style bike rack to one lucky fan! We’ll be sharing two exclusive CURT videos every day this week. To throw your name into the bike rack sweepstakes, all you’ve got to do is comment on one of the posts and Like CURT’s Facebook page. At the end of the week, we’ll randomly select one eligible entrant to win. It’s that easy! Visit your local Total Truck Centers retailer to check out CURT’s industry-leading products in person, or find an affiliated store using our dealer locator. If you are a truck accessories retailer who would like to become part of the nationwide Total Truck Centers network, please join us today! Bring bold elegance and style to your vehicle with the all-new Black Platinum Series of products from Putco. This 304 stainless steel, UV-stable line will set you apart from the next guy. 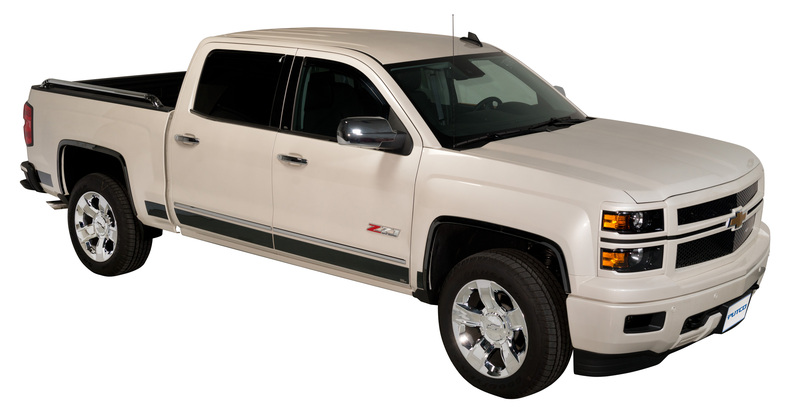 The series includes fender trim, grille inserts, pillar trim, and rocker panels for current-model Chevrolet, Dodge, Ford, and GMC vehicles. The Black Platinum Series is backed by Putco’s NeveRust lifetime warranty, so you never have to worry about losing that mirror-black color! The Terrain HX Step™ from LUND for 2015-2016 Chevrolet Colorado extended cab pickups is an aggressive but functional nerf bar that provides a rugged off-road look and facilitates easier entry and exit, especially for lifted trucks. 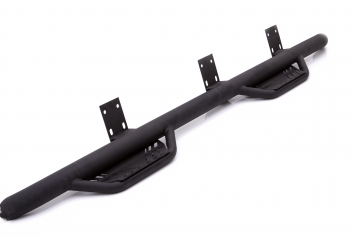 Integrated rocker panel protection guards against flying road debris and door dings. ReadyLIFT® Suspension is constantly looking for ways to help customers with their lifting and leveling needs. 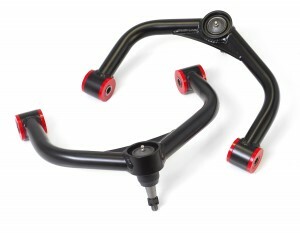 Its newest product does exactly that by helping Dodge Ram 1500 4WD truck owners solve a nagging problem with this truck platform: that is, the factory control arm on these trucks has an inherent design flaw that results in the upper ball joint popping out of the control arm at full droop. This can and has occurred on stock vehicles with the suspension at full droop on a lift, or after installing a leveling or lift kit. The NEW ReadyLIFT 67-1500 Upper Control Arm for 2006-2016 Dodge Ram 1500s prevents this ball joint failure. The robust tubular DOM tube steel-designed upper control arm features the best engineering and construction available, along with added benefits of geometry and ball joint angle correction. ReadyLIFT’s proprietary ball joints are superior to OEM joints and are designed to work with both leveled and lifted applications! Fixes the factory ball joint pop-out situation that occurs on Ram 1500 trucks. The RetraxONE MX combines strong and durable single-piece polycarbonate material with a stylish, scratch-resistant matte black finish. Like Retrax’s other retractable covers, the MX enjoys a low-profile design thanks to a front canister that fits flush with the truck bed cover, streamlining the overall appearance. The RetraxONE MX easily glides on sealed ball bearings, making it the most easy-to-use retractable bed cover on the market. There’s only one…RetraxONE. NSF1 is a project Jeep Wrangler Unlimited being built as a joint venture between two giants in the automotive aftermarket—Total Truck Centers and Performance Corner—to benefit the Navy SEAL Foundation. 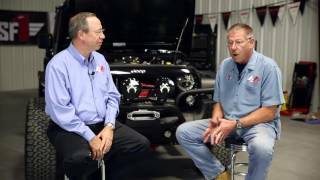 In this video, AAM Group President Tim Odom and NSF1 Project Manager Greg Griffith share the story behind this awesome project Jeep. The Solid Fold 2.0 for the 2016 Toyota Tacoma 5′ bed is a redesigned, reengineered version of Extang’s most popular cover: the Solid Fold. Now made with TPO dent-resistant panels, which are cooler to the touch on hot days, and integrated snap-on seals that let Extang call this cover the most weather-resistant folding tonneau on the market. The new textured matte finish and powder-coated frame and hinges give the 2.0 an OEM look and a soft feel. All of the versatile elements of the original Solid Fold remain: it comes fully assembled out of the box, installs in seconds, and folds using its three panels and aluminum hinges. <p>The Solid Fold 2.0 for the 2016 Toyota Tacoma 5&#8242; bed is a redesigned, reengineered version of Extang&#8217;s most popular cover: the Solid Fold. With their recessed stainless steel bolts and massive presence, Pocket Style® Fender Flares are a Bushwacker original and an off-road icon. 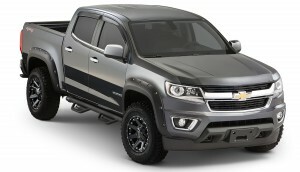 They’re custom-designed for your Chevrolet Colorado to complement oversized tires and high-clearance lift kits. You can even mount them right out of the box. Their tough, OEM-style matte black finish is UV protected to prevent chalking. You can also paint them to match or accent your truck’s body color for a factory-custom look. Pocket Style® Fender Flares are made in the USA from thick, warp-resistant Dura-Flex® 2000 material that adds durability and flexibility on the trail. Despite their hard-core styling, Pocket Style® Fender Flares install easily with no drilling. When you need maximum tire coverage with minimum time and effort, it’s in the pocket–Pocket Style® Fender Flares from Bushwacker.